On February 9, the United States Congress reinstated the federal fuel cell investment tax credit (ITC) as part of the Bipartisan Budget Act of 2018. This credit applies to the purchase of stationary and material handling fuel cell systems. FCHEA applauds the reinstatement of the fuel cell ITC, and thanks Senate Majority Leader Mitch McConnell (R-KY) and Minority Leader Charles Schumer (D-NY) for moving forward with this bipartisan deal and righting this wrong. FCHEA also thanks Senators Dean Heller (R-NV) and Tom Carper (D-DE) and Representatives Tom Reed (R-NY) and Patrick Meehan (R-PA), who sponsored past legislation to address the ITC issue. The 30 percent ITC, which will phase-out over five years, places stationary and material handling fuel cells on an even footing with other clean energy technologies. The reinstatement was needed after a 2015 legislative package extended the ITC exclusively for solar technology. The lack of parity was seen as disruptive to the growth of this industry in terms of output and new job creation. FCHEA, its members, and supporters have worked with allies in Congress to educate members and staff about the benefits of fuel cells and the need to restore fairness. The Bipartsan Budget Act also includes a one-year retroactive reinstatement of the Sections 30B and 30C tax credits for fuel cell vehicles and hydrogen infrastructure. This leaves fuel cell vehicles at a disadvantage compared to battery electric vehicles which have an established federal tax incentive. Click here for the full press release from FCHEA. FCHEA members Plug Power and FuelCell Energy also issued press releases celebrating the ITC reinstatement. Click here for Plug Power's press release, and click here for FuelCell Energy's. On January 26, Governor Jerry Brown of California signed an Executive Order that includes a $2.5 billion investment plan for zero emission vehicle (ZEV) adoption. In the Executive Order, Governor Brown calls for $900 million in funding over the next seven years to the California Energy Commission to accelerate investment in battery electric and hydrogen fuel cell vehicle (FCV) infrastructure. The investment plan sets a goal of 200 public hydrogen stations for FCVs statewide by 2025, an increase from the previous state goal of 100 stations by 2023. An additional $1.6 billion would be allocated over eight years to the California Air Resources Board (CARB) to continue the state's clean vehicle rebate programs. Currently, $5,000 rebates are available to California drivers for the purchase or lease of an FCV, with an additional $2,000 rebate available for low income drivers. The Executive Order sets a new target of 5 million ZEVs on the road in California by 2030, up from the previous target of 1.5 million ZEVs by 2025. In addition, Governor Brown released the latest California Climate Investments plan, which will use $1.25 billion in cap-and-trade auction proceeds to reduce carbon pollution and improve public health and the environment. According to the Governor's budget proposal, $160 million of the cap-and-trade investment plan would go towards CARB to provide incentives for zero emission trucks, transit buses, school buses, and freight equipment. Click here for the full press release from Governor Brown's office, which includes the text of the Executive Order. Click here for the Governor's full climate change budget proposal, which provides further details on the ZEV investment plan and California Climate Investments for 2018. On January 23, Toyota USA announced that is has sold more than 3,000 Mirai fuel cell vehicles (FCVs) in California since their introduction to the state in late 2015. According to Toyota, the Mirai makes up more than 80% of all American FCV sales. The announcement included praise for the Mirai from Bob Carter, Executive Vice President of Toyota Motor North America. Carter emphasized Toyota's commitment to developing and deploying hydrogen fuel cell technologies. Click here for the full press release from Toyota. 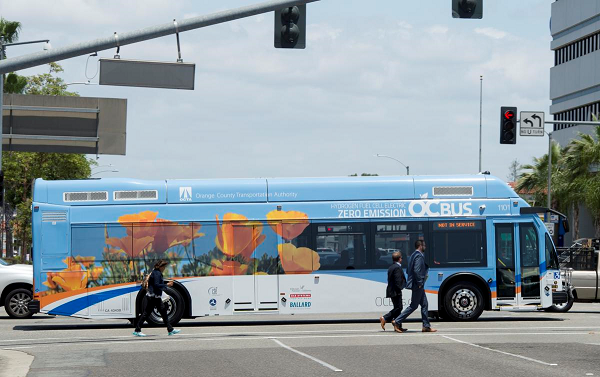 On February 7, the Transportation Authority of Orange County, California (OCTA) announced that it will add ten hydrogen fuel cell buses to its fleet, and upgrade its bus base to distribute hydrogen fuel. The new fleet will cost about $12 million, expanding on a 2016 pilot program that brought in one hydrogen fuel cell bus. Funding for the fleet will be shared by the OCTA and grants from the California Air Resources Board (CARB) and the South Coast Air Quality Management District, both FCHEA members. The fleet will replace ten existing buses that run on compressed natural gas. The buses will run on popular routes that serve Anaheim, Garden Grove, Orange, Santa Ana and Westminster. They will be integrated into OCTA's fleet of more than 520 buses in January 2019. Click here for the full article on the bus fleet from the Orange County Register. Houston-based Trillium CNG will begin construction of hydrogen fuel distributors at OCTA's Santa Ana facility later this year. Liquid hydrogen fuel will be supplied and delivered on a weekly basis by FCHEA member Air Products. The station will be able to fully fuel each bus in six to ten minutes, and will be capable of fueling up to 50 hydrogen powered buses. The estimated cost of the OCTA station project is $4.7 million, which will be funded by a grant from CARB via California's Climate Investments cap-and-trade program. Click here for the full article on the OCTA station hydrogen fueling project from the American Journal of Transportation. From February 8-11 Hyundai hosted an international delegation of fuel cell stakeholders in South Korea for a hands-on experience with NEXO, the automaker's newest hydrogen fuel cell vehicle (FCV). Among the attendees was Morry Markowitz, President of the Fuel Cell and Hydrogen Energy Association. The delegation attended several of Hyundai's facilities and offices in Seoul, where they got to ride and drive NEXO, learn more details about the FCV's design and specifications, and discuss Hyundai's plans for the deployment of NEXO worldwide. A fleet of zero-emission NEXO FCVs transports the trip delegation to Hyundai facilities in Seoul on February 9. Source: Hyundai Motor Group. On the final day of the event, the delegation attended the Winter Olympics in the South Korean city of PyeongChang. While there, they visited Hyundai's "Hydrogen Pavilion," an immersive, interactive display that showcases hydrogen fuel cell technology to Olympics attendees. Exterior of Hyundai's Hydrogen Pavilion at the PyeongChang Olympic Plaza, February 10. The Hyundai NEXO is the world's first commercial fuel cell SUV. It has an estimated range of 370 miles per fill-up of hydrogen fuel, a bevy of autonomous driving features, and is set to launch in the United States later this year. Click here for more information on NEXO. On January 25, Super Micro Computer Inc. (Supermicro) announced the opening of an automated rack integration facility at its Silicon Valley, California headquarters, powered by a 3 MW fuel cell system from FCHEA member Bloom Energy. According to Supermicro, the fuel cell system generates its own electricity on-site, dramatically reducing the facility's carbon footprint, air pollutants, and water use, while lowering projected energy costs by $8 million over 10 years. The fuel cell is also configured to maintain critical operations during grid outages to minimize the impact of public power interrupts. This is Supermicro's second Bloom Energy fuel cell at its headquarters, following the installation of a 1 MW system in late 2016 to help power a new manufacturing facility. Click here for the full press release from Supermicro. On January 18, FCHEA member Shell announced that it has secured 10 million euros (about $12.3 million) from the European Union's Fuel Cell Hydrogen Joint Undertaking (FCH JU) to help construct a 10 MW hydrogen electrolysis plant, which will help power their crude oil refinery in Wesseling, North Rhine-Westphalia, Germany. According to Shell, when the plant, named "Refhyne," goes into operation in 2020, it will be the world's largest hydrogen electrolysis system and the first large-scale industrial application of polymer electrolyte membrane (PEM) technology. Shell is building the Refhyne plant with ITM Power, with additional support coming from a consortium of European companies - INTEF, thinkstep, and Element Energy - which was first announced on September 1. The consortium will also provide 10 million euros ($12.3 million) for the plant's construction. The Mayor of Wesseling, the head of North Rhine-Westphalia's Climate Protection Department, and the Principal Adviser to the Director-General for Energy at the European Commission joined consortium representatives at Shell's Rhineland refinery to celebrate the start of construction on the Refhyne system. According to the FCH JU, the Refhyne plant includes design options for scaling up to 100 MW and beyond, to help prepare markets for future deployment at that capacity. Shell also says that the electrolysis technology could possibly be expanded at the refinery, used in other Shell facilities, and even deliver hydrogen to other customers. Click here for the full press release from Shell Deutschland Oil (in German). On February 6, myFC announced the first commercial order of its JAQ Hybrid fuel cell charger to Huangdou e-commerce in China. The initial order is for 500 units of the power bank for smart phones and tablets, which can be powered by either myFC's LAMINA micro fuel cell or a wall outlet. Both companies are expecting future sales after the initial order is delivered after the Chinese New Year, with Huangdou planning to sell up to 30,000 units this year on the Chinese market. According to myFC, the initial order value does not exceed SEK 500,000 (about $63,000). On February 6, Nel Hydrogen Solutions announced a contract to construct one of its H2Stations for Swedish steel company SSAB EMEA. The station will be used to provide hydrogen for fuel cell powered forklifts at SSAB's production facility in Oxelösund, Sweden. According to Nel, the station will be delivered by the end of the first quarter of 2018. Both companies agreed not to disclose the value of the contract. On February 4, Hyundai announced the completion of the world's first fully autonomous hydrogen fuel cell vehicle (FCV) test drive. The test drive went from from Seoul to Pyeongchang, South Korea, where the 2018 Winter Olympic Games are being held. Three FCVs with level 4 self-driving technology - meaning fully autonomous as defined by the Society of Automotive Engineers' international standards - took part in the 118 mile test drive. The FCVs are based on Hyundai's recently unveiled NEXO SUV, which according to the automaker will go on sale starting next month in South Korea. NEXO will have several level 2 autonomous features, and Hyundai plans to commercialize level 4 autonomous technology in the coming decade. The test drive took the FCVs on city roads and highways. Maintaining top speeds of about 68 miles per hour, the FCVs were able to navigate traffic, execute lane changes, and even navigate through toll booths. Click here for the full press release from Hyundai. At the media event for the test drive, Hyundai told reporters they aim to sell at least 10,000 of the vehicles worldwide by 2022. Hyundai will also work with governments and energy companies to further develop hydrogen fueling infrastructure. On January 25, Robert Wimmer, Toyota North America's Director of Energy and Environmental Research, testified at a field hearing held by the United States Senate Committee on Energy and Natural Resources. The hearing, entitled " The Road to Tomorrow: Energy Innovation in Automotive Technologies ," was held at the Washington Convention Center to coincide with the 2018 Washington Auto Show. Mr. Wimmer's comments focused on opportunities and challenges facing fuel cell vehicles (FCV). In his testimony, Mr. Wimmer highlighted the company's experience with their Toyota Mirai FCV, explaining how FCVs are an integral part of Toyota's long term zero-emission strategy. He then detailed investments that Toyota is making in the United States and around the world to expand the FCV market for light and heavy duty transportation solutions. Mr. Wimmer's testimony also discussed the state of the country's hydrogen fueling infrastructure. He highlighted the need to provide equitable, robust robust federal support for hydrogen infrastructure and FCVs, to ensure the growth of the market as automakers seek to expand FCVs beyond California. Specifically, Mr. Wimmer called for the reinstatement of the fuel cell vehicle consumer tax credit, and the alternative fuel vehicle infrastructure tax credit. Both of these credits expired in recent years while similar tax incentives for battery electric vehicles remain in place. His remarks concluded by recognizing the years-long support at the Department of Energy for hydrogen and fuel cell research, development, and commercialization, and how these activities have accelerated commercialization of the technology. The witness panel was comprised of a diverse collection of auto industry experts, including Britta Gross, Director of Advanced Vehicle Commercialization at General Motors. Click here for Mr. Wimmer's written testimony to the Senate Committee on Energy and Natural Resources, and click here for a video of the full hearing. On February 1, Bloom Energy announced that its 8.35 MW solid oxide fuel cell (SOFC) Energy Server was selected by South Korea's Korea South-East Power Corporation (KOEN) to be installed at its Bundang combined thermal power plant, in the city of Seongnam near Seoul. Bloom Energy Japan and SK Engineering & Construction submitted a joint bid for the project. According to Bloom Energy, the Bundang Power Plant project will be the first industrial or commercial SOFC installation in South Korea. The system will utilize natural gas from existing infrastructure. According to KOEN, the Bloom Energy Server was selected in order to help meet their Renewable Portfolio Standard as set by the South Korean government. Click here for the full press release from Bloom Energy. In addition, on January 25 Japanese zirconium compounds manufacturer Daiichi Kigenso announced the installation of a Bloom Energy Server SOFC at their factory in Fukui, Japan. According to Daiichi Kigenso, Bloom's 250 kW fuel cell system now provides 25% of the factory's electricity needs. The Energy Server is fueled by liquefied natural gas, sourced from a nearby storage facility. At initial performance, the Bloom Energy Server is generating electricity with an efficiency rate of over 60%. Click here for the full press release from Daiichi Kigenso. The United States Army recently issued a press release reporting that last month, the ZH2 hydrogen fuel cell truck underwent new field testing at Schofield Barracks, Hawaii. The ZH2 was built by General Motors in 2016 from a modified Chevy Coloroda, in partnership with the Army's Tank Automotive Research, Development and Engineering Center (TARDEC). Last year, the truck was handed off to the Army for a variety of field tests. According to TARDEC, the ZH2's latest test had it take part in a simulated reconnaissance mission, pitting the 2nd Squadron, 14th Cavalry Regiment, 25th Infantry Division (25th ID), in Humvees against the "enemy" in the fuel cell vehicle. Because the ZH2's fuel cell power train does not produce any smoke, noise, odor, or thermal signature, the 25th ID could only detect the truck from 50 to 100 meters away, as opposed to Humvees that can be detected a kilometer away. The ZH2 fuel cell truck taking part in field exercises at Schofield Barracks, January 2018. Brian Butrico, the ZH2's project lead, said the Army is "just scratching the surface" of possibilities with the truck's fuel cell technology, and officials are excited by future applications. The 25th ID used the fuel cell to quietly power its tactical operation center, eliminating noisy generators. The Army will soon run an extensive modeling simulation to see how this could work in a larger theater. The service is also exploring the use of fuel cell technology as an auxiliary power unit on a major combat platform, or as a portable, wearable power source for soldiers to lighten their load. According to the Army, TARDEC has already begun work to determine how to produce, store and distribute hydrogen in the field. Click here for the full press release from the Army. On February 6, the inaugural International Hydrogen Energy Forum was held in Seoul, South Korea. The Forum brought together top representatives from the South Korean National Assembly, as well as several Korean ministries, with members and guests of the Hydrogen Council. According to the Hydrogen Council, the Forum represents the first step of their 2018 strategic initiative to launch a multilateral dialogue between industry, policy makers, and investors, in order to accelerate deployment of hydrogen technologies worldwide. The South Korean government subsequently announced plans to further invest in hydrogen stations for fuel cell vehicles, with a target of 310 stations operating by 2022. Click here for the full press release from the Hydrogen Council. From February 9-11, the Toyota Mirai fuel cell vehicle (FCV) was on display at the 2018 Northeast International Auto Show in Providence, Rhode Island. According to coverage from The Providence Journal, the Mirai was one of the most popular cars on display, as it made its first-ever appearance at the auto show. The Providence Journal also spoke with representatives from Toyota about their plans for bringing the Mirai to New England, including the construction of hydrogen stations from New Jersey to Massachusetts. Click here for the full article from The Providence Journal. On February 12, the United Kingdom's Minister of State for Transport delivered a speech at the British Museum that promoted the replacement of diesel train engines with hydrogen fuel cells. The Honorable Jo Johnson called for the end of diesel-only trains on British railroads by 2040, and mooted hydrogen as a viable solution for sustainable energy rail transport. "Alternative-fuel trains powered entirely by hydrogen are a prize on the horizon. I'd like to see hydrogen train trials on the UK railway as soon as possible. Hydrogen offers an affordable - and potentially much cleaner - alternative to diesel.And the technology has developed fast in recent years. To the extent that [ French railway company] Alstom is now testing a train which only emits steam and condensed water - yet is capable of 140 km [about 87 miles] per hour and a range of up to 800 kilometers [about 373 miles] ." Click here for the full speech from Jo Johnson. The U.S. Department of Energy's (DOE) Hydrogen and Fuel Cell Technical Advisory Committee (HTAC) has released their 2016 Annual Report on Hydrogen and Fuel Cells to the public. Established in 2005 by the Energy Policy Act, HTAC advises DOE on hydrogen and fuel cell programs and activities, including program implementation and the safety, economical, and environmental consequences of technologies for the production, distribution, delivery, and storage of hydrogen energy and fuel cells. The annual report provides highlights on the state of the hydrogen and fuel cell industry and summarizes HTAC's observations and recommendations to DOE. Click here for the 2016 Annual Report which was delivered on June 29, 2017 to Secretary of Energy Rick Perry. A January 4, 2018 response letter to HTAC from Daniel Simmons, DOE's Acting Assistant Secretary of Energy Efficiency and Renewable Energy, can be viewed here. On February 5, British fuel cell firm Bramble Energy announced a new partnership with BOC, a member of the Linde Group, to develop portable, hydrogen fuel cell powered LED lighting towers. The 20 watt light towers will launch late in 2018. Click here for the full press release from Bramble Energy. On January 25, the European hydrogen industry association Hydrogen Europe announced the "Second Joint Initiative for hydrogen Vehicles across Europe" (JIVE 2) project. Coordinated by Element Energy, and supported by a 25 million euro (about $31 million) grant from the Fuel Cells and Hydrogen Joint Undertaking (FCH JU), the JIVE 2 project will deploy 152 fuel cell electric buses across 14 European cities throughout France, Germany, Iceland, Norway, Sweden, the Netherlands, and the United Kingdom. This new round expands on the initial JIVE initiative which was launched in 2017. Together, the combined projects will deploy nearly 300 fuel cell buses in 22 cities across Europe by the early 2020s, the largest deployment in Europe to date. Click here for the full press release from Hydrogen Europe. On February 2, the Canadian government announced over CAD 670,000 (about $535,000) in funding to support the Canadian Hydrogen and Fuel Cell Association (CHFCA). The funding was announced by Hedy Fry, Member of Parliament for Vancouver Centre, on behalf of Navdeep Bains, Minister of Innovation, Science and Economic Development and Minister responsible for Western Economic Diversification Canada. The CHFCA's mission is to support Canadian corporations, governments and educational institutions that are developing, demonstrating and deploying hydrogen and fuel cell products and services. The new funding was specifically granted to help assist the growth of the hydrogen and fuel cell industry in Canada's western provinces. Click here for the full press release from the Government of Canada. A newly formed fuel cell and hydrogen association in Australia includes several FCHEA members. Hydrogen Mobility Australia (HMA), announced at the end of 2017, will foster industry and government co-operation for regulations, codes and standards to support the introduction of a hydrogen economy in Australia. It will also undertake government advocacy, research, education, and industry engagement to promote the benefits of fuel cell technology. HMA founding members include Toyota's Australian affiliate, Hyundai's Australian branch, and BOC Australia, an affiliate of Linde. Click here for the full press release from Toyota about their membership in HMA, and click here for a link to HMA's new website. The TechConnect World Innovation Conference is an annual event which gathers 4,000+ attendees and is uniquely designed to accelerate the commercialization of innovations out of the lab and into industry. The Technical Program spotlights applications focused innovations, materials and devices emerging from industrial, government and academic laboratories worldwide. As part of the Technical Program, the Fuel Cells & Hydrogen Symposium will highlight innovations in materials and devices which will enable development and deployment of hydrogen and fuel cells with the ultimate goals of decreasing our dependence on oil, reducing carbon emissions, and enabling clean, reliable power generation. The Innovation Partnering Program gathers market-ready, commercially-viable, innovations into the largest global technology accelerator program. The TechConnect World Innovation event encompasses the 2018 SBIR/STTR National Conference, and Nanotech2018 - the world's largest nanotechnology event. Join the brightest and most productive innovators, funding agencies, national and federal labs, international research organizations, universities, tech transfer offices and investment and corporate partners in Anaheim, CA. Could Hydrogen Power Vehicles Become a Viable Alternative? The Trump Tax Cuts Hurt This Manufacturer. It Kept On Lobbying. On December 20, the Australian Renewable Energy Agency (ARENA) announced a 20 million AUD (about $15.4 million) funding round for early stage research and development into hydrogen to propel innovation in exporting renewable energy. ARENA will be inviting a broad range of R&D applications, from early stage R&D (TRL 2) through to demonstration of R&D technology (TRL 6), and through all stages of an export supply chain. The objective of this funding round is to accelerate the development of a potential renewable energy export supply chain, centred around hydrogen and related carrier materials. Eligible projects will include hydrogen production, conversion to a carrier or substance suitable for export, and transformation into energy at point-of-use. Applications will be open until 5pm AEDST on February 28, 2018. For more information and to apply for this funding round, click here. Applications are now being excepted for Phase 2 of the Electric Vehicle and Alternative Fuel Infrastructure Deployment Initiative. Natural Resources Canada is allocating 120 million CAD (about $95.8 million) for the deployment and demonstration projects of electric and alternative fuel vehicle infrastructure across the country. The Initiative will pay up to 50% of the total project costs for eligible hydrogen stations built by Canadian companies, to a maximum of one million CAD ( about $798,000) per station. Applicants are required to submit a complete application by 23:59 Eastern Standard Time, March 22, 2018. Click here for more information and instructions on submitting an application. The National Innovation Program for Hydrogen and Fuel Cell Technology (NIP) is currently funding the construction of publicly accessible hydrogen refuelling stations in road transport. The funding amounts to 60 percent of the refueling station's investment costs and can include the building of an electrolyzer for the generation of green hydrogen. Funding applications may be submitted to the Federal Ministry of Transport and Digital Infrastructure (BMVI) until March 31, 2018. The new funding call is part of the National Innovation Program for Hydrogen and Fuel Cell Technology (2016-2026) - or NIP 2 - under the market activation funding guideline. The BMVI is allocating 250 million euro (about $296 million) in all for research, development and innovation as well as market activation measures until 2019. For more information and to submit a funding proposal, click here. The Connecticut Department of Energy and Environmental Protection (DEEP) has issued a request for proposals to procure up to 899,250 MWh/year of renewable energy and associated Renewable Energy Certificates (RECs) from offshore wind, fuel cell, and anaerobic digestion renewable energy resources, pursuant to long-term contracts of up to 20 years. Class 1 fuel cell systems with a minimum output of 2 MW and maximum output of 20 MW are eligible under this proposal. Class 1 fuel cell systems with combined heat and power are eligible with a minimum output of 2 MW and no maximum output limit. Bidders must submit completed proposals to DEEP by April 2, 2018. Connecticut will announce winning bids in June 2018. Click here for the full RFP notice from DEEP, which includes submission instructions. The new Fuel Cell and Hydrogen Joint Undertaking (FCH JU) call for proposals is now open, featuring 20 topics in view of developing research and demonstration in fuel cells and hydrogen, with a budget of €73.2 million (about $89.6 million available. The financial support will be divided between activities from different areas of research and innovation for each of the transport and energy pillars, as well as overarching and cross-cutting activities. The deadline for submission of proposals is April 24, 2018. Click here for more information and instructions on how to submit a proposal. The Connecticut Department of Energy and Environmental Protection (DEEP), in partnership with the Connecticut Center for Advanced Technology (CCAT), are accepting proposals for a "Hydrogen Refueling Infrastructure Development" (H2Fuels Grant) Program to promote the use of fuel cell vehicles. The H2Fuels Grant Program will award up to $840,000 to a qualified vendor to establish, operate and maintain a retail hydrogen fueling station in the New Haven, Connecticut area. 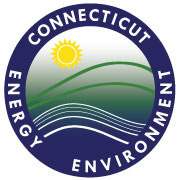 All communications on the H2Fuels Grant program should be in writing and submitted to Paul Farrell Attn: Department of Energy and Environmental Protection, Air Bureau, 79 Elm Street, Hartford, CT 06106-5127 or by e-mail to paul.farrell@ct.gov. Proposals are due by April 30, 2018. The Request for Proposals link is available here. The Public Notice Grant Opportunity is available here. If your company is interested in joining FCHEA, please visit fchea.org or contact Connor Dolan at cdolan@fchea.org.